Dr. Leslie M. Chaundy, Psy.D, LCSW, NCSP, ABSNP Dr. Chaundy is a Pennsylvania Licensed Psychologist, Licensed Clinical Social Worker, and Nationally Certified School Psychologist, as well as holds a Diplomate in School Neuropsychology. Dr. Chaundy has over twenty years of clinical experience working in the mental health field with children, adolescents, families, and adults of all ages. Dr. Chaundy is currently working as an Assistant Professor in the Department of Social Work at Kutztown University of Pennsylvania and is Owner, CEO, and Clinical Director of Thriveworks Counseling and Coaching-Allentown and Reading/Wyomissing. Dr. Chaundy is a graduate of Marywood University and Philadelphia College of Osteopathic Medicine. She is also an advocate for the importance of religion in education. 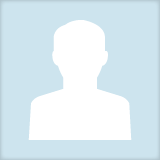 Leslie Chaundy updated their profile information.